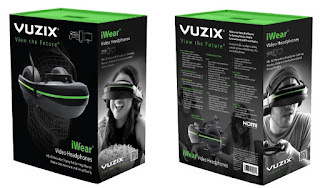 ROCHESTER, N.Y. -- Vuzix Corporation, a leading supplier of video eyewear and smart glasses products in the consumer, enterprise and entertainment markets, is pleased to announce that the company has begun shipping its first production iWear Video Headphones units, commencing with the developer community. Vuzix has worked with more than one hundred developers to-date that have begun porting and developing titles to leverage the advanced technology of the Vuzix iWear. In addition to clear demand from the developer community, the Company is seeing growing interest in support of this launch. Shipments to pre-order customers are expected to commence within the next month. The Vuzix iWear Video Headphones are the ultimate mobile video entertainment and gaming system, compatible with any device supporting HDMI output. 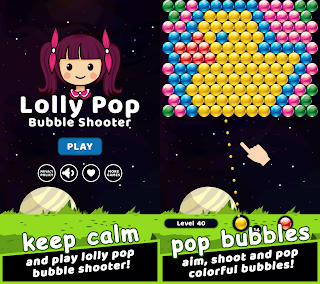 With integrated motion tracking, OSVR, Unity 3D, and Unreal gaming engine support, the Company is able to offer a growing list of games and VR title support. The iWear features dual HD Displays and revolutionary nano-optics that provide the equivalent experience of a 125"home television from 10 feet and allow the wearer to play games, interact with apps, watch 2D, 3D and 360°VR movies and even fly drones. iWear is completely portable and battery-driven so that the user can enjoy it at home or on-the-go. "As Vuzix begins to prepare for full production rollout of its iWear Video Headphones, we are excited to report that we have moved beyond prototypes to production versions and have begun shipping to the growing and valued list of committed iWear developers, with leading and prestigious companies including Jaunt 360, OSVR, Unity, Sensics and many more," said Paul Travers, President and Chief Executive Officer of Vuzix. "A pioneer in virtual reality and augmented reality technology, Vuzix holds numerous patents and awards. The company continues to innovate and ship new solutions for both consumer and enterprise markets," said Wanda Meloni, a market analyst at M2 Advisory Group. "The Vuzix iWear Video Headphones are an impressive product for both media enjoyment and gaming. Sensics is working with Vuzix to seamlessly integrate the iWear with the OSVR software platform. This delivers the full spectrum of OSVR-compatible applications to users, and also developers to use a comprehensive open-source development platform to deliver compelling applications on multiple operating systems using a wide range of VR peripherals," commented Yuval Boger, Chief Executive Officer, Sensics. Vuzix is a leading supplier of Video Eyewear and Smart Glasses products in the consumer, commercial and entertainment markets. The Company's products include personal display and wearable computing devices that offer users a portable high quality viewing experience, provide solutions for mobility, wearable displays and virtual and augmented reality. Vuzix holds 41 patents and 12 additional patents pending and numerous IP licenses in the Video Eyewear field. The Company has won Consumer Electronics Show (or CES) awards for innovation for the years 2005 to 2015 and several wireless technology innovation awards among others. Founded in 1997, Vuzix is a public company (NASDAQ: VUZI) with offices in Rochester, NY, Oxford, UK and Tokyo, Japan. 0 comments on "Vuzix Commences First Production Shipments of iWear Video Headphones to Developers"